THE choking fumes from burning rubbish fill the lungs of tiny children 24 hours a day in the most inhospitable working environment anywhere in India. 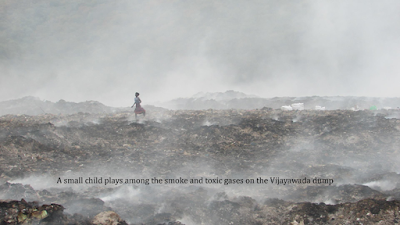 As if malnutrition, stunted growth, life-threatening disease and total absence of medical care were not enough, families scratching a meagre existence on the Vijayawada dump simply have no escape from the poisonous smoke which constantly hangs in the air. Children and adults alike nevertheless go about their daily business of foraging though every fresh lorryload of waste for plastic and scraps of metal to sell for recycling, oblivious to the damage they are doing to themselves. Shortened life expectancy is an occupational hazard for the rag-pickers of Vijayawada dump. 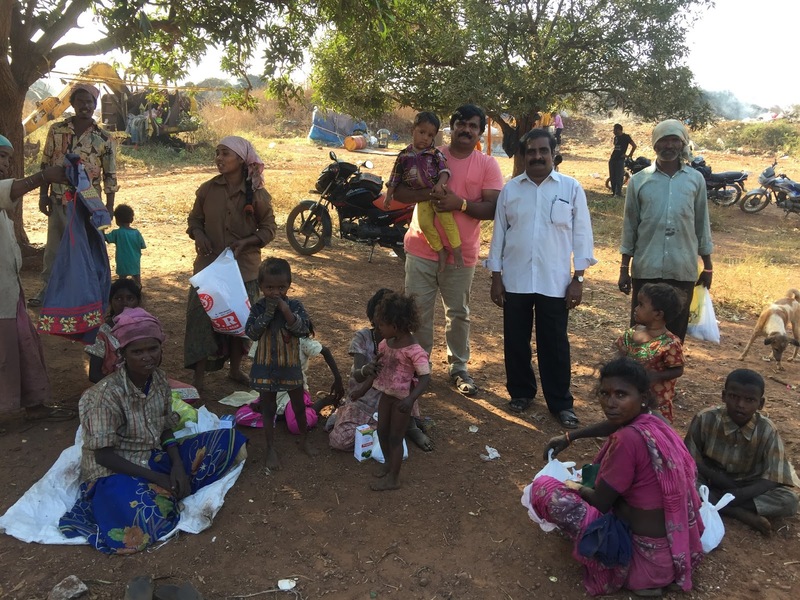 They appear to accept their 'untouchable' status as Tribals and Dalits - the bottom of the food chain, the ostracised, the outcasts of Indian society, powerless, it seems, to escape the clutches of generational poverty. Untouchability was made illegal in post-independence India, and Dalits substantially empowered, but, like the new-found wealth from a booming Indian economy, this has not filtered down to the most impoverished, the most downtrodden of all. Shoury Babu Rebba, founder of KISES (Kiranmayi Socio Educational Society), feels it is his duty to stand up for these marginalised people, coming as he does from a lower middle-class background. Being a Dalit himself, he has experienced all kinds of social discrimination and economic backwardness ever since his childhood; and it was this experience that motivated him to work for the redressal of socio-economic evils. His stated aim is to establish a just society, wherein the poor and the marginalised can enjoy equality, fraternity and justice. 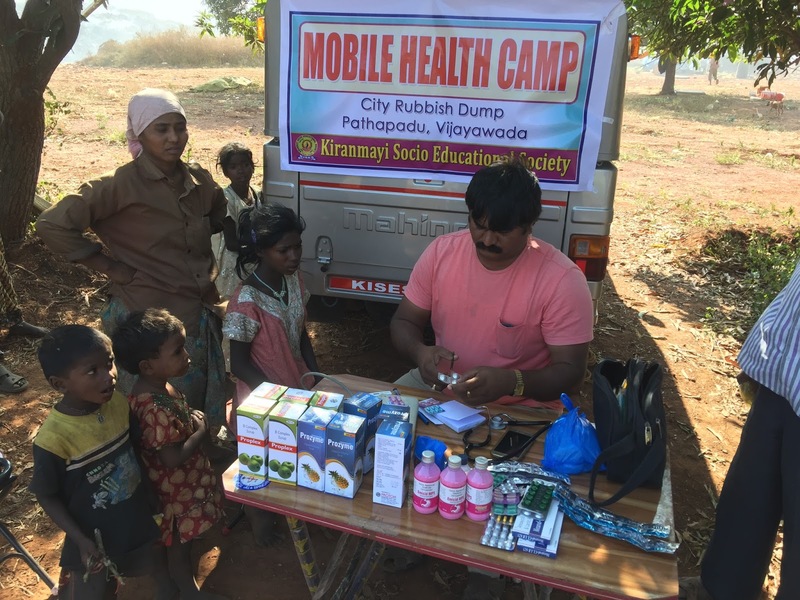 During December, despite personal concerns over the health of a hospitalized family member, he has given his free time to deliver meals and gifts to city slum dwellers, while establishing a mobile school which offers a glimmer of hope to the children of the dump. Most recently of all, he carried out a health camp at the remote dump yard, the results of which confirmed all fears about the medical condition of those living and working on the mountains of smouldering waste. Doctors were not keen to travel from the city, but a local medic agreed to join the small KISES team. 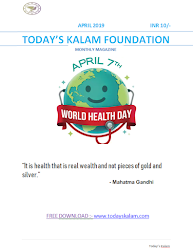 Health checks were given to adults and children alike and the stark reality was that EVERY patient was found to be in poor health and in need of medication, distributed free by KISES. Once medicines had been handed out, meals and clean clothing were provided for the children, who were also excited to receive some early Christmas gifts in the form of toys, sweets, colouring books and pencils. But the real gift for these previously uncared-for people will come with the addition of skills training for young adults and the continuation of the mobile programme providing food, education and healthcare.